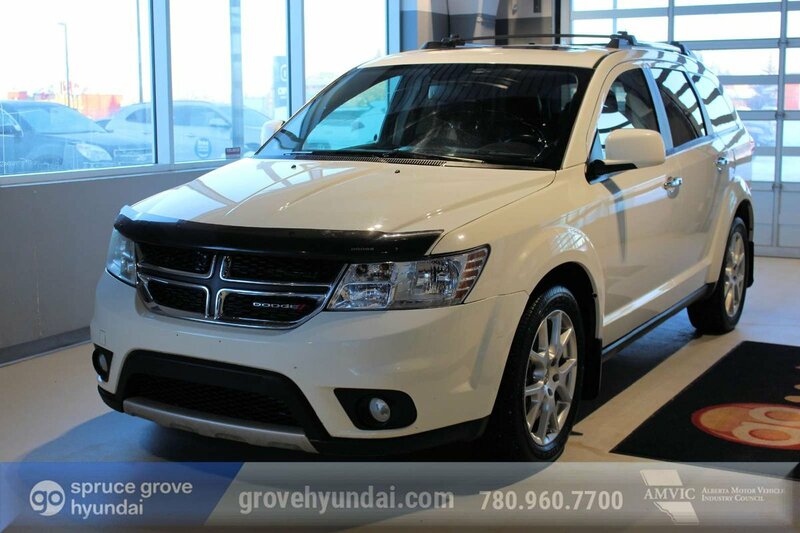 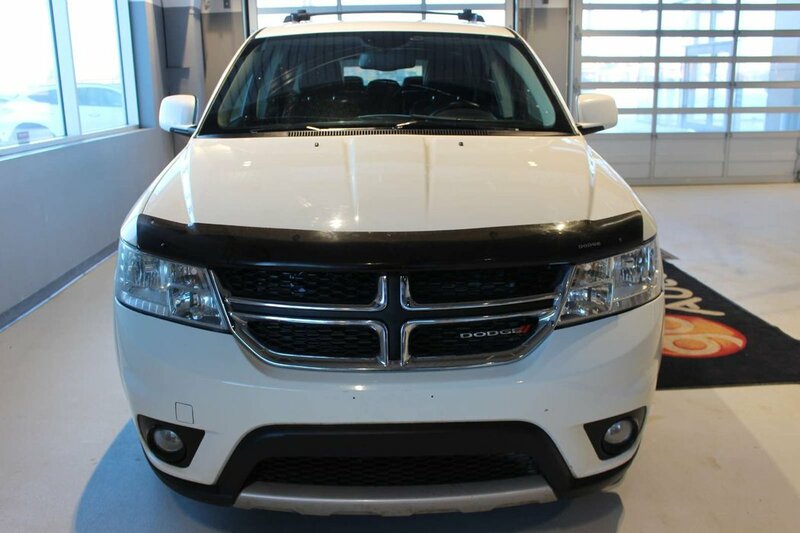 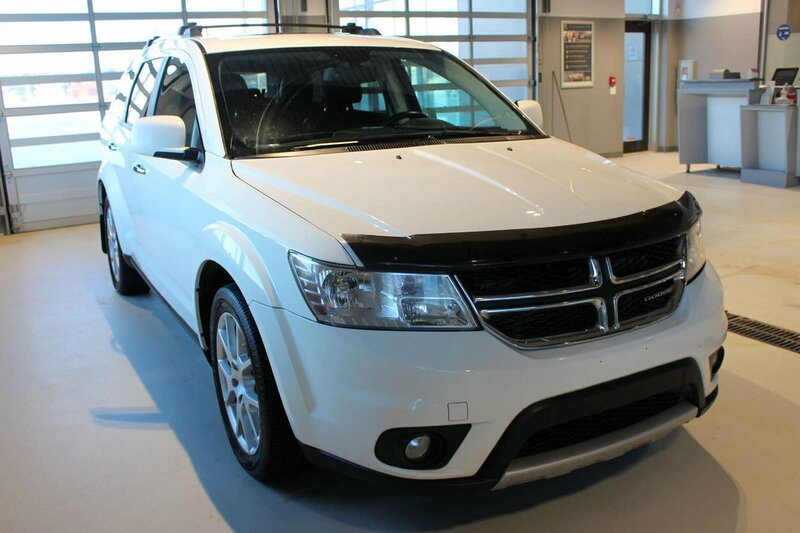 2015 Dodge Journey R/T: 7 PASSENGER, NAVIGATION, SUNROOF, AWD, LEATHER! 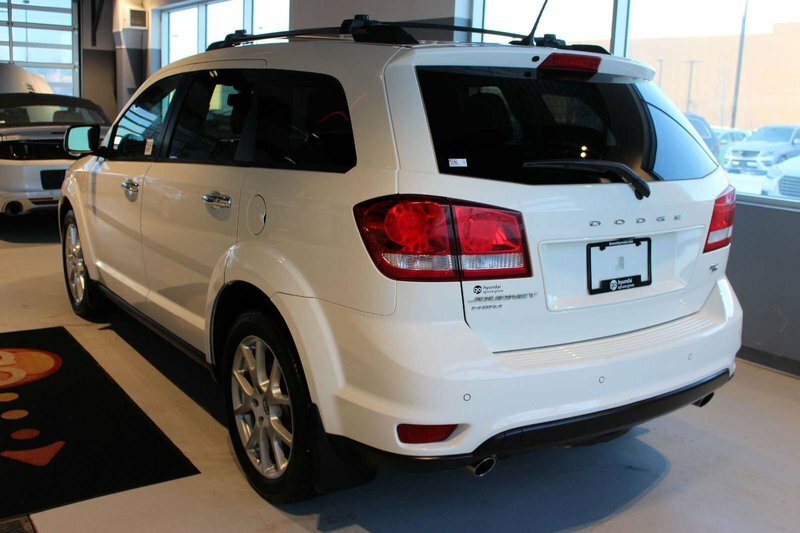 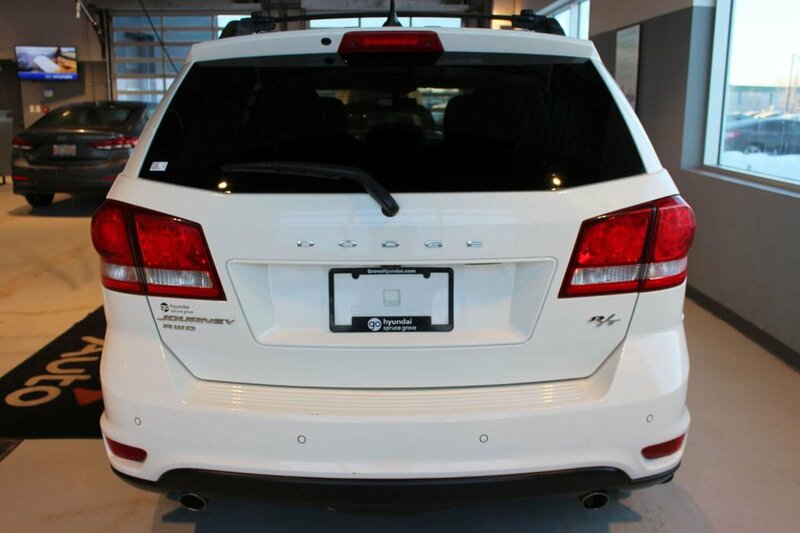 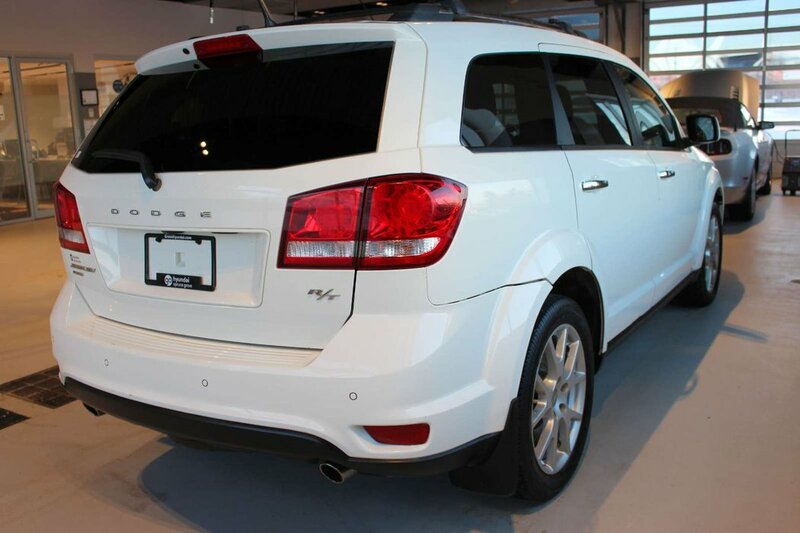 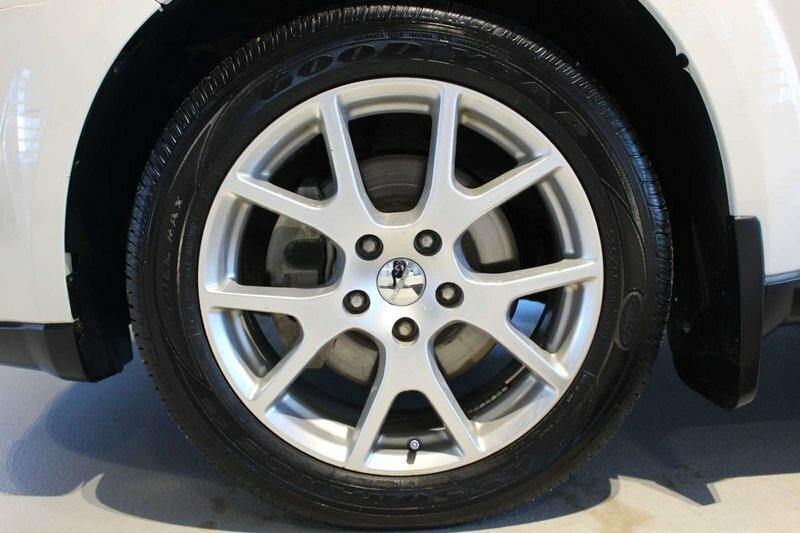 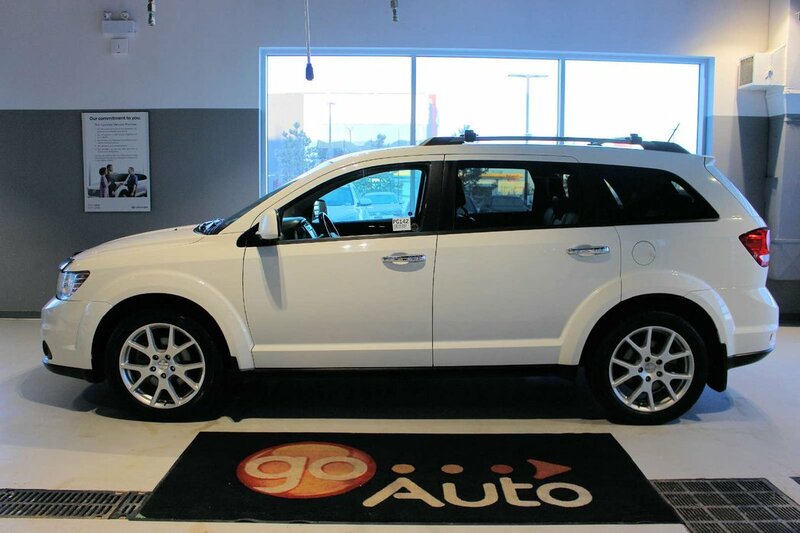 A.M.V.I.C Licensed Dealer Get ready for adventure in our luxurious 2015 Dodge Journey R/T AWD presented in beautiful White. 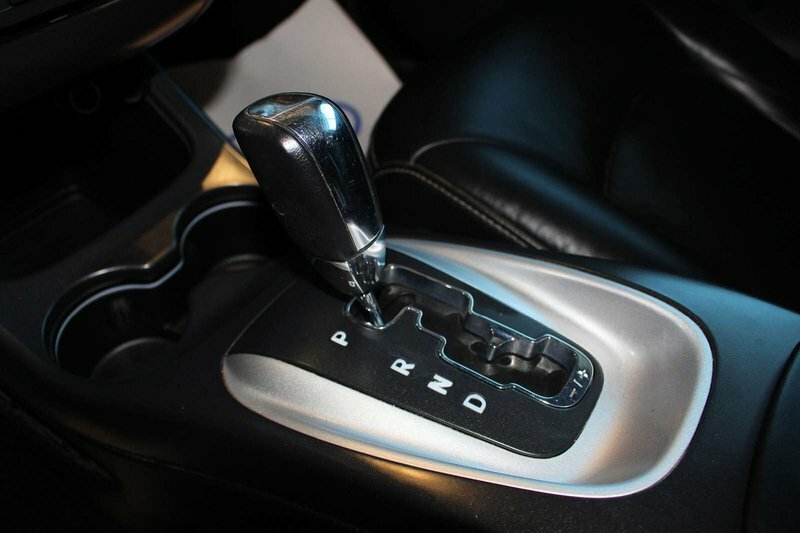 Powered by an award-winning 3.6 Litre Pentastar V6 that offers 283hp while tethered to a 6 Speed Automatic transmission. 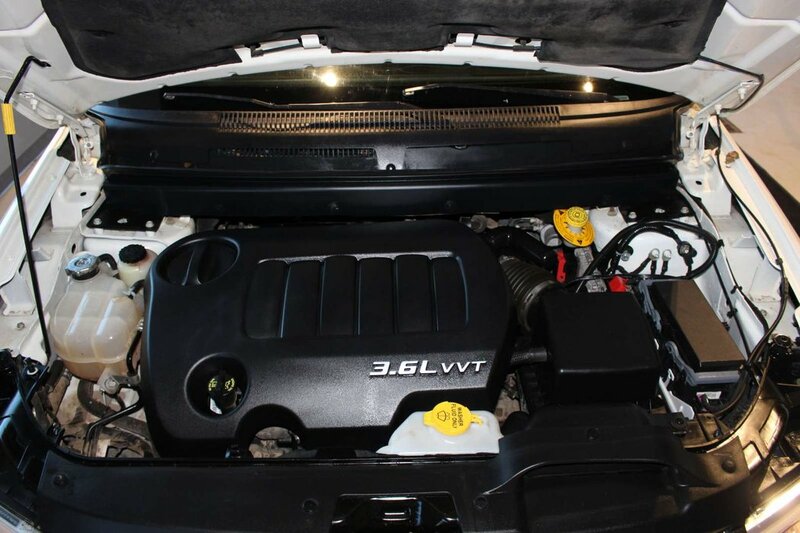 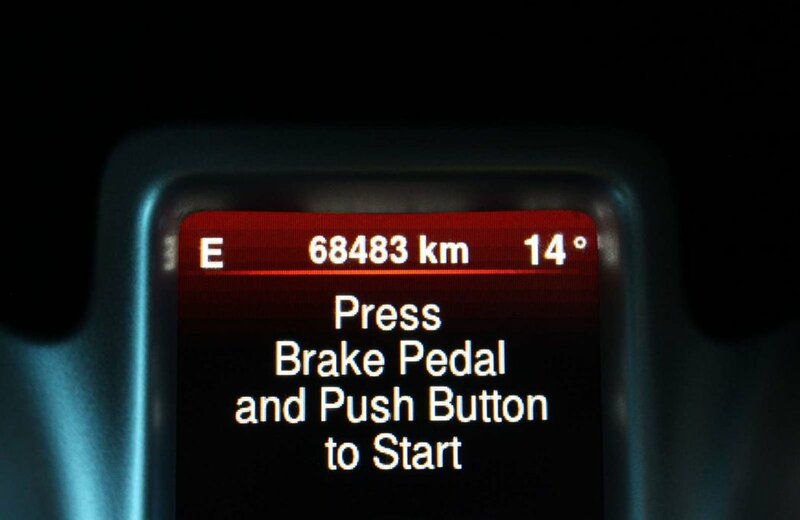 This efficient All Wheel Drive team provides you with a smooth ride and excellent maneuverability, as well as 9.4 L/100km. 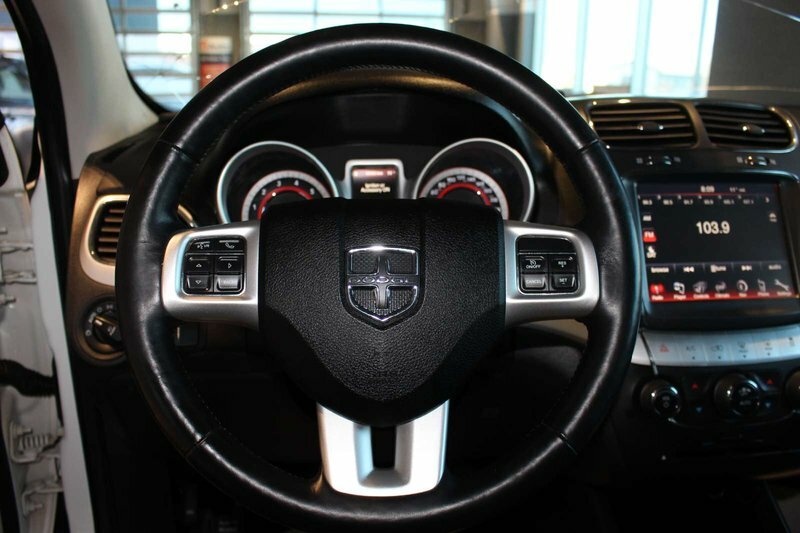 Chrome accents, prominent wheels and a distinctive ring of fire LED tail lights highlight the bold muscular exterior of our R/T. 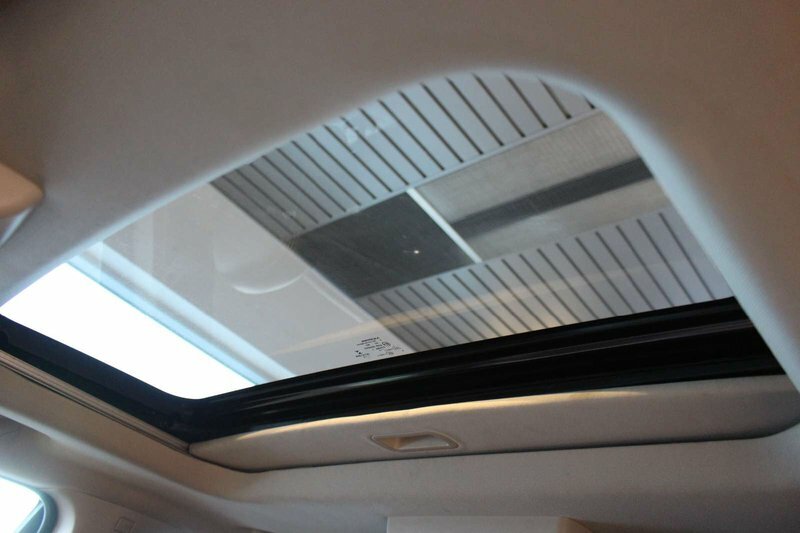 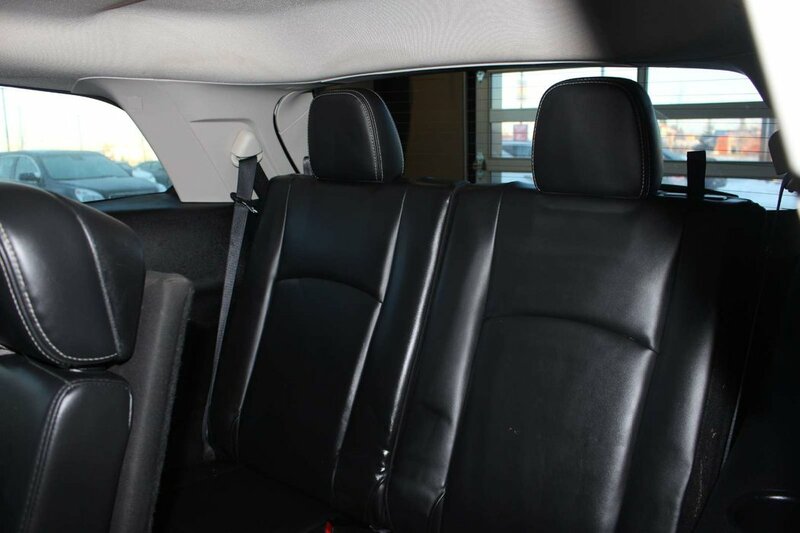 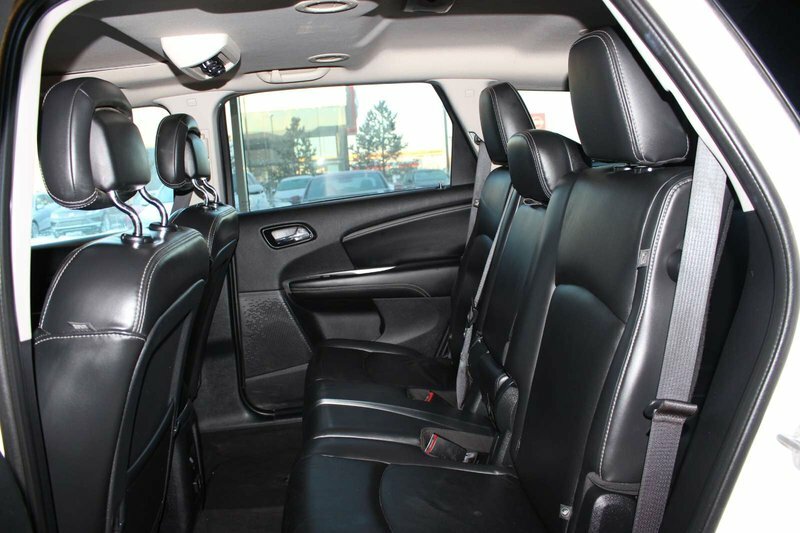 Inside our R/T, space is abundant in the 7-passenger cabin featuring black-perforated leather and a massive sunroof. 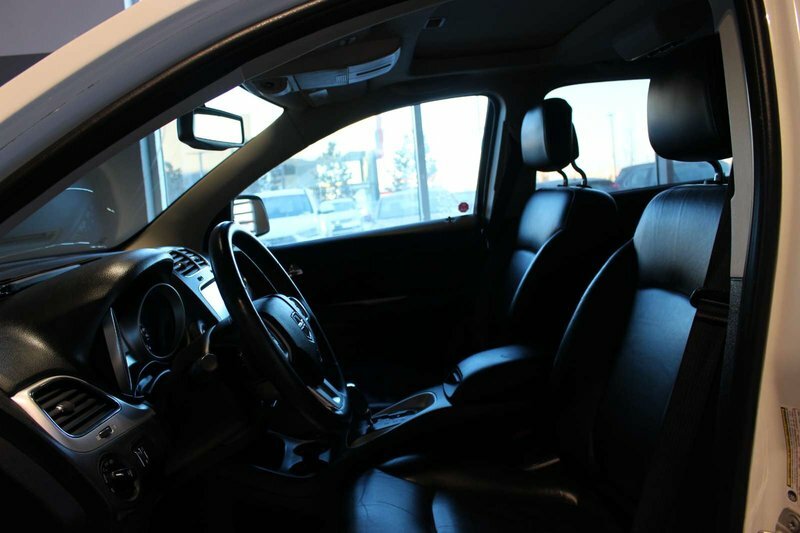 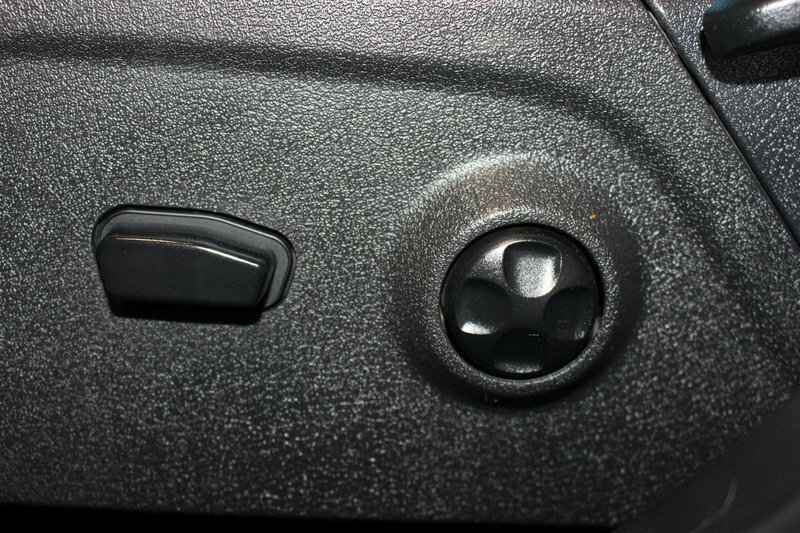 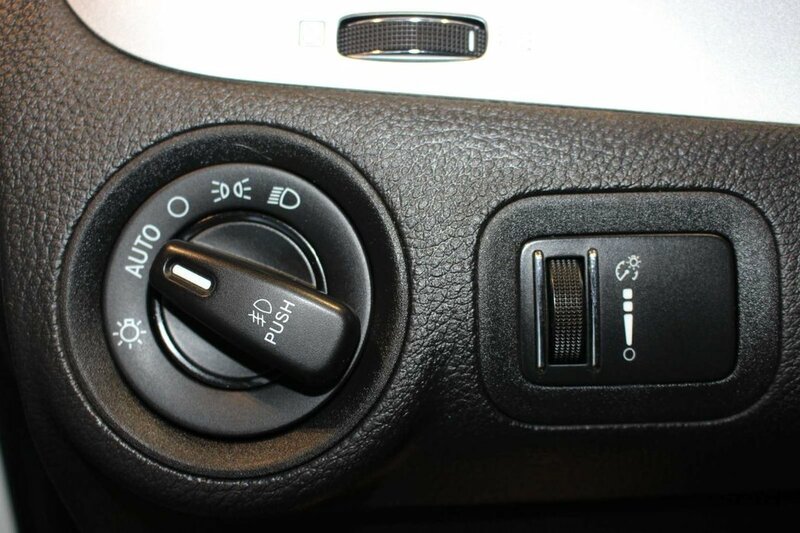 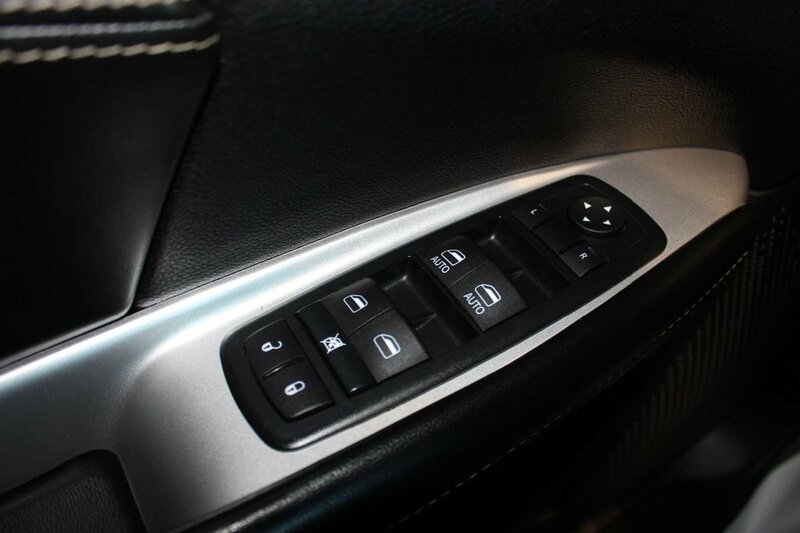 Cold mornings will be easier to face as you enjoy the benefits of heated mirrors, remote start, and ultra-comfortable heated seats while gripping the heated steering wheel. 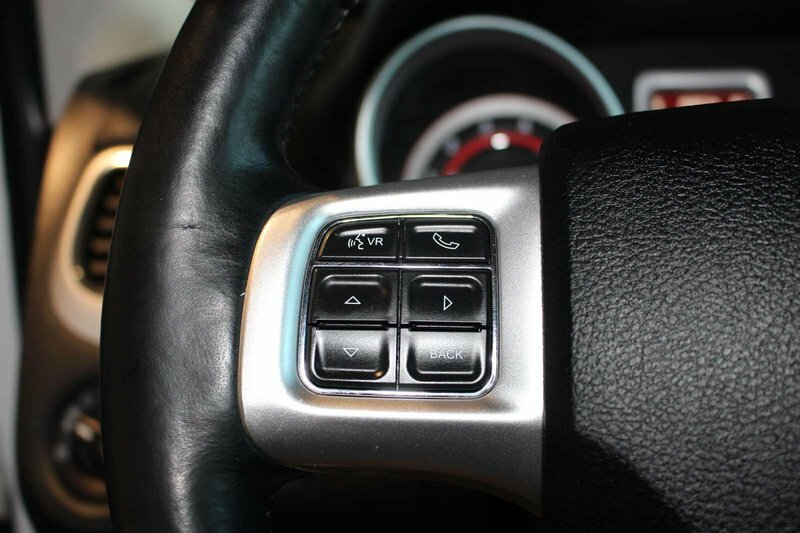 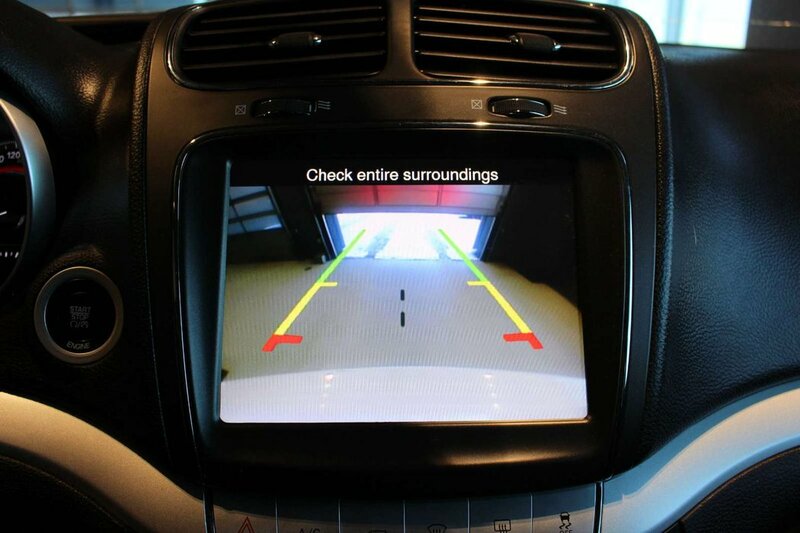 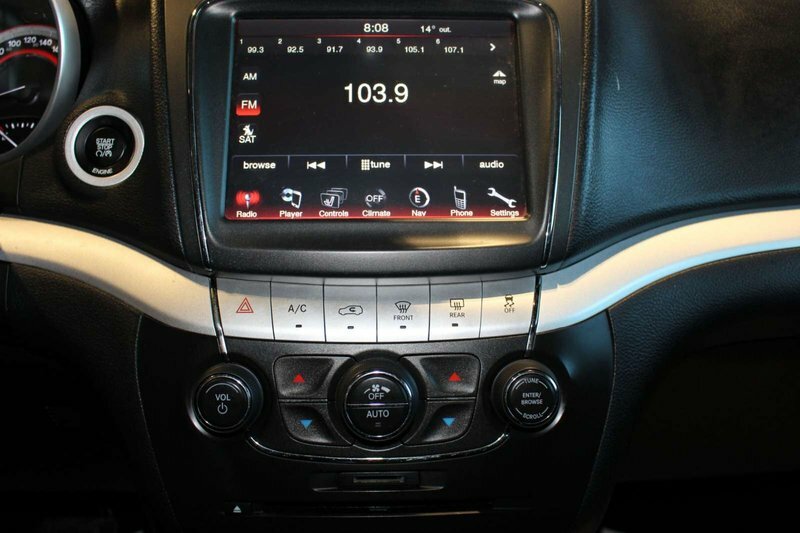 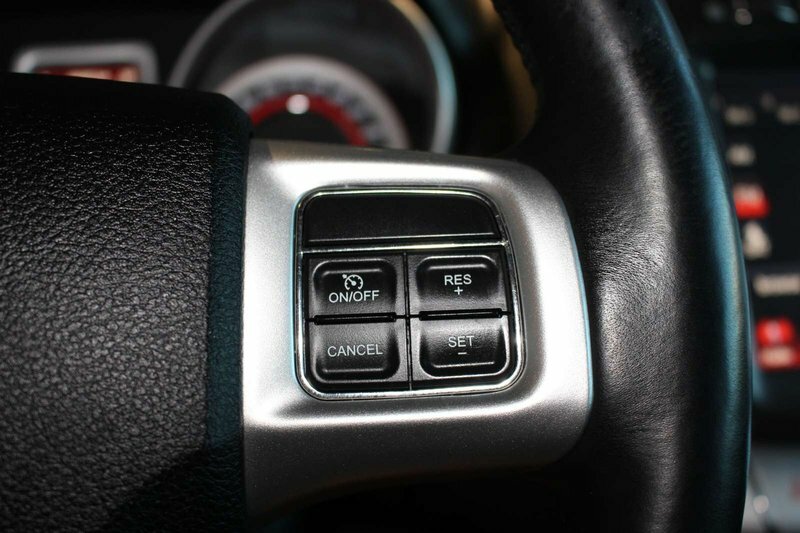 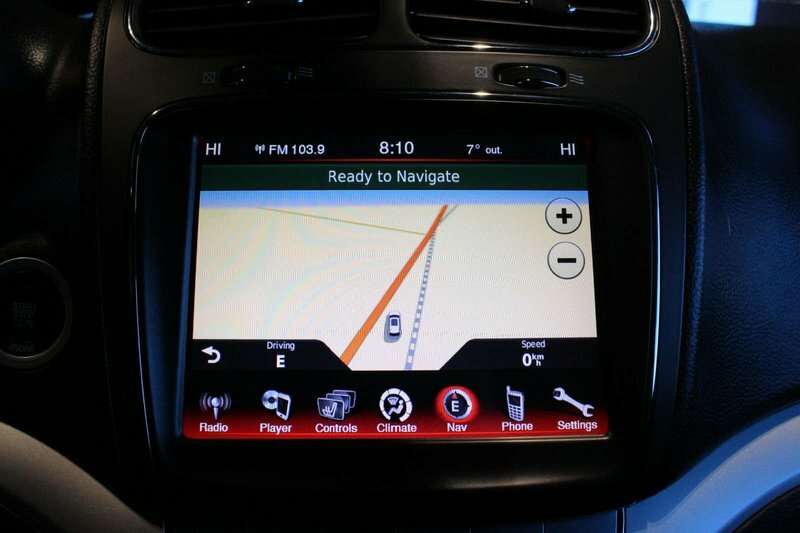 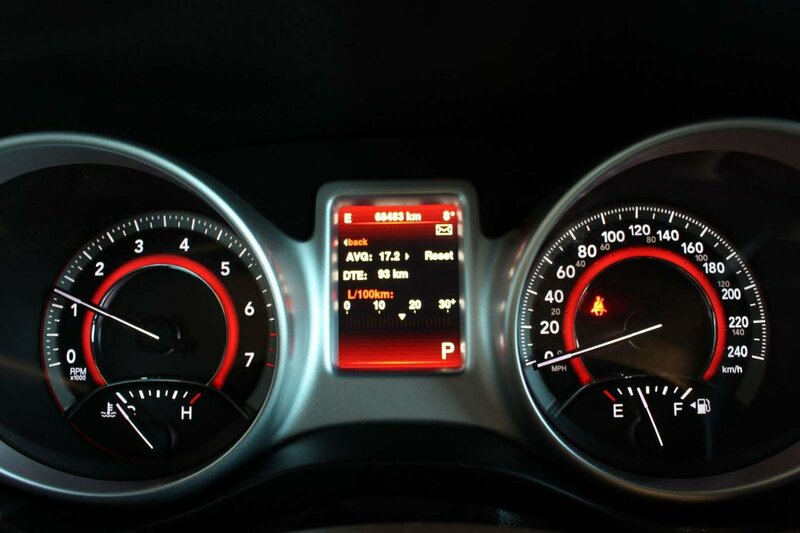 A Uconnect touchscreen interface with navigation and steering-wheel-mounted audio and cruise controls keep you focused on the task at hand as you and your passengers listen to a premium sound system with available satellite radio and an iPod/USB audio interface or stay connected with Bluetooth. 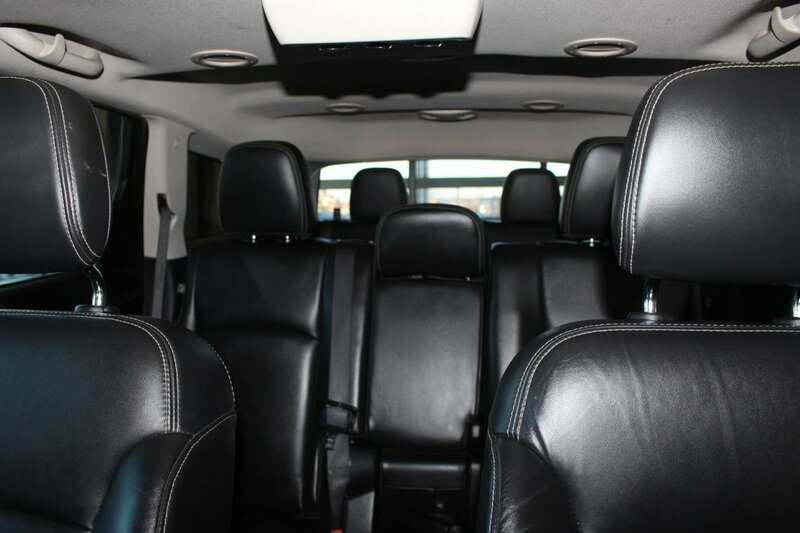 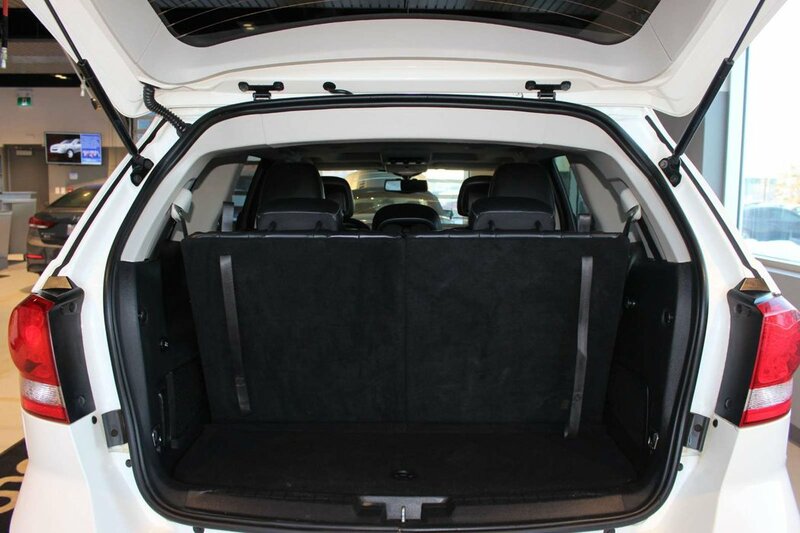 With cavernous cargo space, feel free to pack everyone up and drive off into the sunset onto your next adventure.